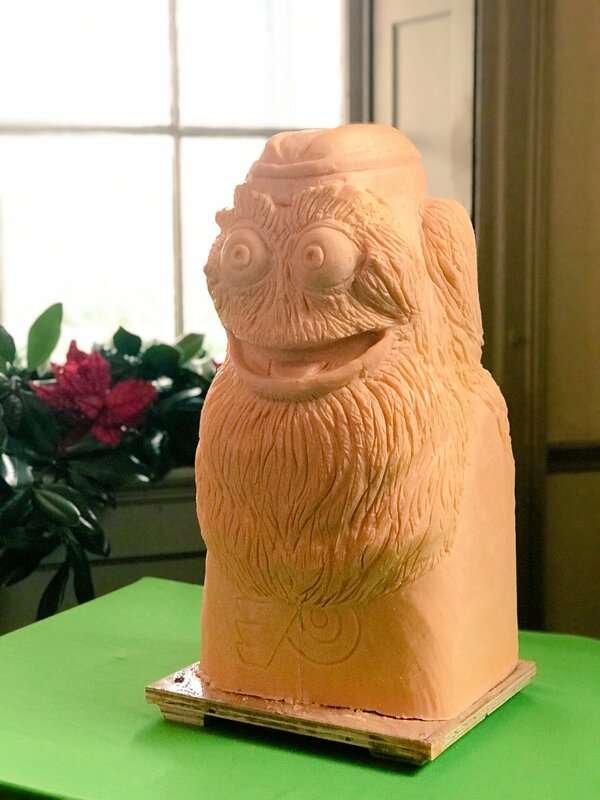 Christmas came early this Friday, when a sculpture of Gritty made out of cheese was unveiled. The Philadelphia Flyers’ mascot was crafted by expert food sculptures Jim Victor and Marie Pelton using three 40-pound bricks cheddar cheese, according to Philly Voice. We assume it had an extra sharp flavor profile – it’s what Gritty would want.